The European Bank for Reconstruction and Development (EBRD) internal stress tests found the lender could cope with a 40pc drop by the Turkish lira, sources told Reuters, but the currency has weakened more than that this year. Finance minister Paschal Donohoe is among the more than 60 governors of the EBRD, appointed by countries that fund the development bank, including Ireland. The stress test exercise, done in response to the lira’s accelerating decline and relayed privately to the development bank’s 67 government shareholders at a board meeting last month, concluded it could withstand such a slump, although it would suffer losses. The impact on the EBRD is in addition to the threat Turkey’s economic crisis poses to European banks with business in the country. Spain’s BBVA, Italy’s UniCredit, France’s BNP Paribas, Dutch bank ING and Britain’s HSBC are the most exposed to Turkey and vulnerable to its free-falling currency. But Turkey’s trouble are feeding risk aversion among investors, who worry about financial market turmoil spreading to other emerging countries or even Italy, which faces key decisions over its budget and credit ratings after the summer. 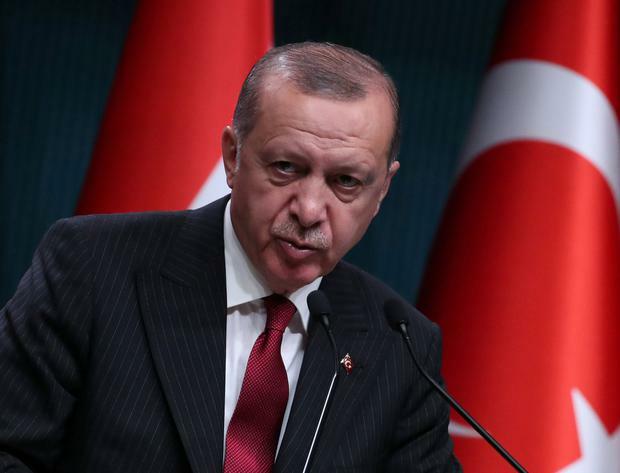 Turkey’s President Tayyip Erdogan said yesterday that the country would boycott electronic products from the US, which has imposed sanctions and raised tariffs against Ankara in a dispute about the detention of a US evangelical pastor. Turkey has become the EBRD’s largest country of operation since it stopped lending in Russia in 2014. It has a combined €7.3bn of projects, loans and equity stakes there, and has pumped in €3.5bn over the past two years. The 40pc drop in the Turkish currency was the most extreme of at least three scenarios modelled by the EBRD’s economists and risk management department, which is overseen by one of its vice presidents, Betsy Nelson. The view was that such a huge fall would be a once-in-a-century event. However, the currency is now down 45pc this year and it has shed around 35pc from the time the stress test was conducted. An EBRD spokesman would not comment on the test’s findings. He reiterated the bank’s recent statement that it remained committed to investing in the Turkish economy. The issue is crucial because the EBRD has a prized triple-A rating and will not want to use up too much valuable capital or have to tap shareholder governments for additional cash. One of the sources said the situation was almost certain to be scrutinised again when the bank’s directors reconvene in early September. It often works alongside Turkish banks, all of which have seen their share prices and bonds hammered by the collapse of the lira in recent weeks. “I think if it (lira) goes into a freefall, we might have an emergency message,” the source said, speaking on condition of anonymity because of the confidentiality of the stress-test.